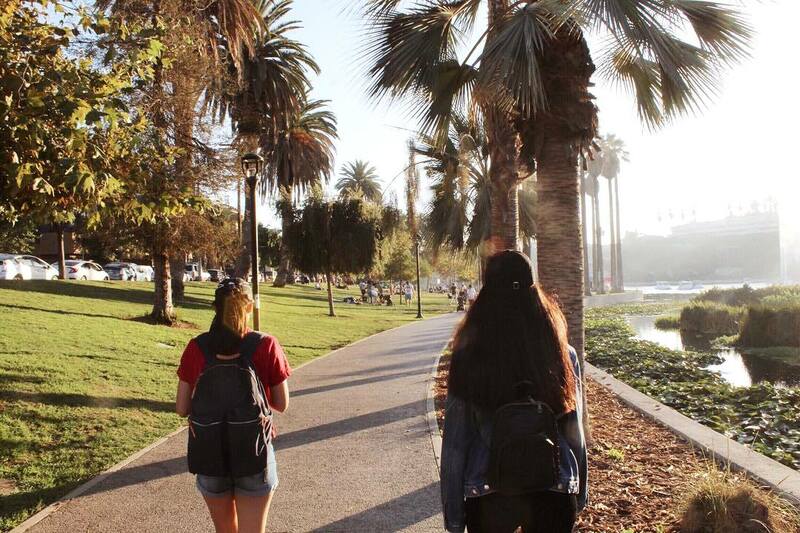 Sandy beaches, rolling hills, and historic streets reflect the beauty and diversity of Los Angeles. They also deliver some incredible spots for Angelenos looking to spice up their running routines. 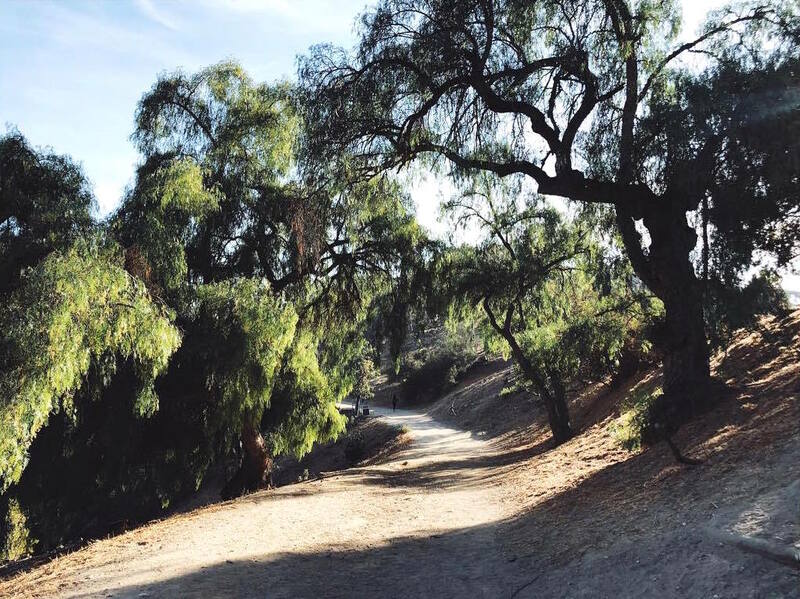 Whether you’re hoping to squeeze in a quick workout before work or soak in the rays and rack up some miles on the weekend, explore these LA running spots to truly brighten your day! From Adelaide Dr. to the Santa Monica Pier, Angelenos are treated to 26.4 acres of oceanside (you’re parallel to Ocean Ave.) running bliss with Palisades Park. 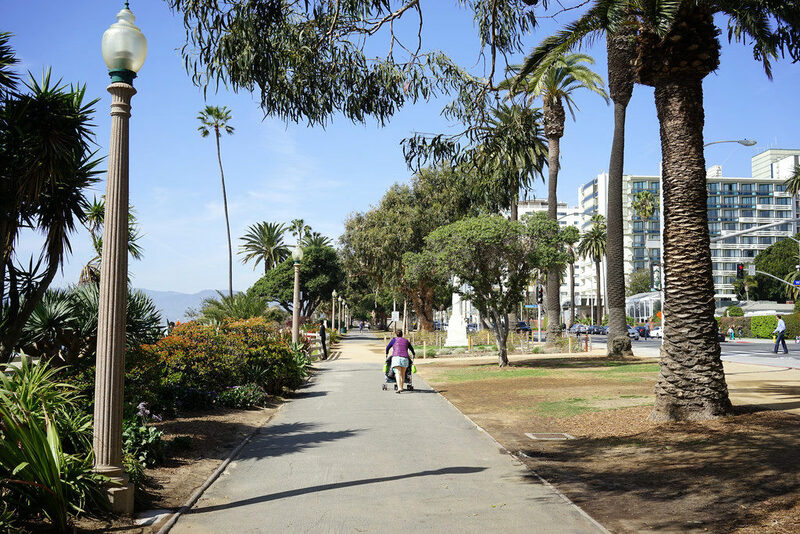 At 1.4 miles long, this stretch of city property lets runners enjoy dirt paths while taking in beautiful views of the Santa Monica Bay. And with plenty of shade (thanks to some 30 different types of trees and plants), getting in a good workout at Palisades Park is a breeze! 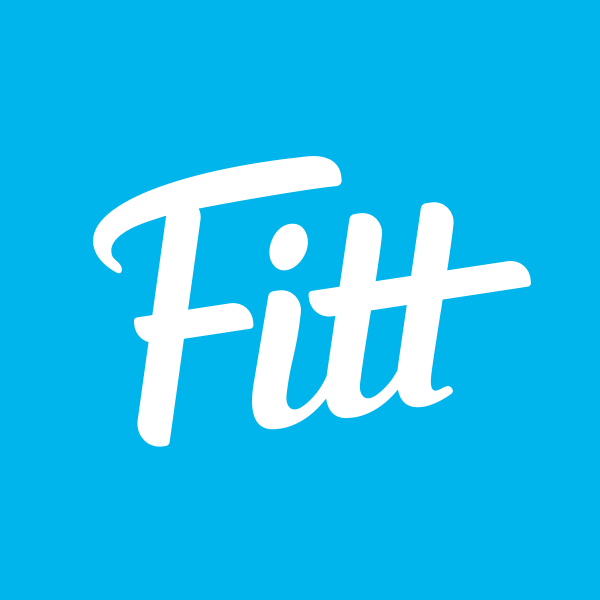 Fitt Tip: add more steps to your run by checking out the nearby Santa Monica Stairs off Adelaide Dr.! The second largest urban park in the US and dishing out 53 miles of dirt routes between 35 interconnected trails, Griffith Park in Loz Feliz is a long-distance runner’s paradise! With so much space, even the pickiest of runners will find a route here they enjoy! To top it off, runners can hit up a number of nearby LA landmarks after a run in Griffith Park, including the Griffith Observatory, the Greek Theatre, and the Hollywood Sign. So much room, so many activities! Looking for a run with some elevation? Hit up Westridge Trail just off Mandeville Canyon Rd. (park in the nearby residential area) for a running path above the city and through the clouds! 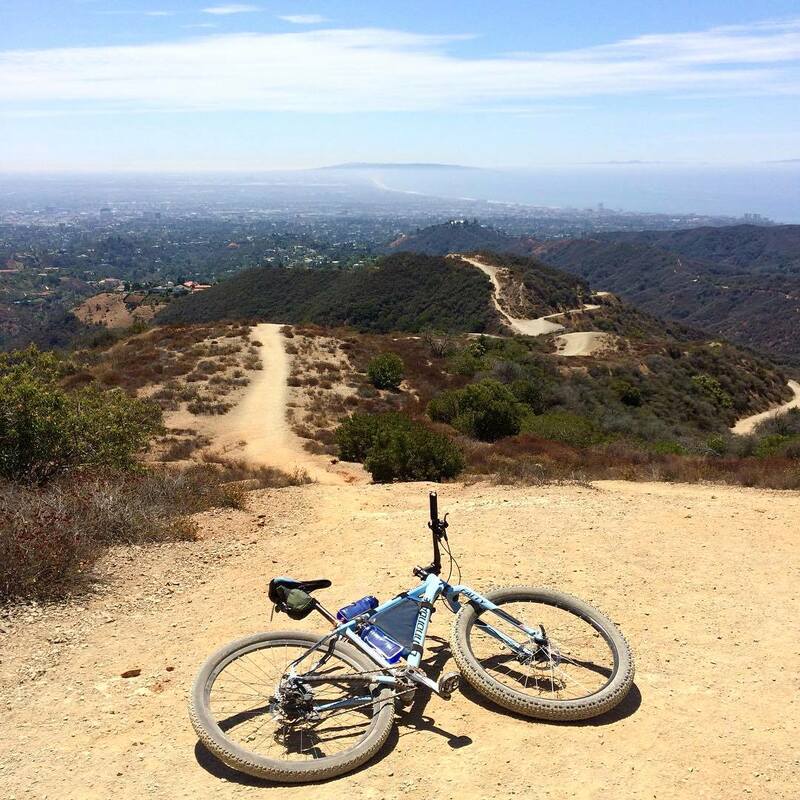 Along two main dirt trails (one gradual and winding; the other short and steep) runners will run into plenty of friendly mountain bikers, hikers, and dogs along this route in the Westridge-Canyonback Wilderness Park. And whether you’re going for a short or a long run, here, you’ll definitely soak in magnificent views of DTLA and the Valley on clear days! 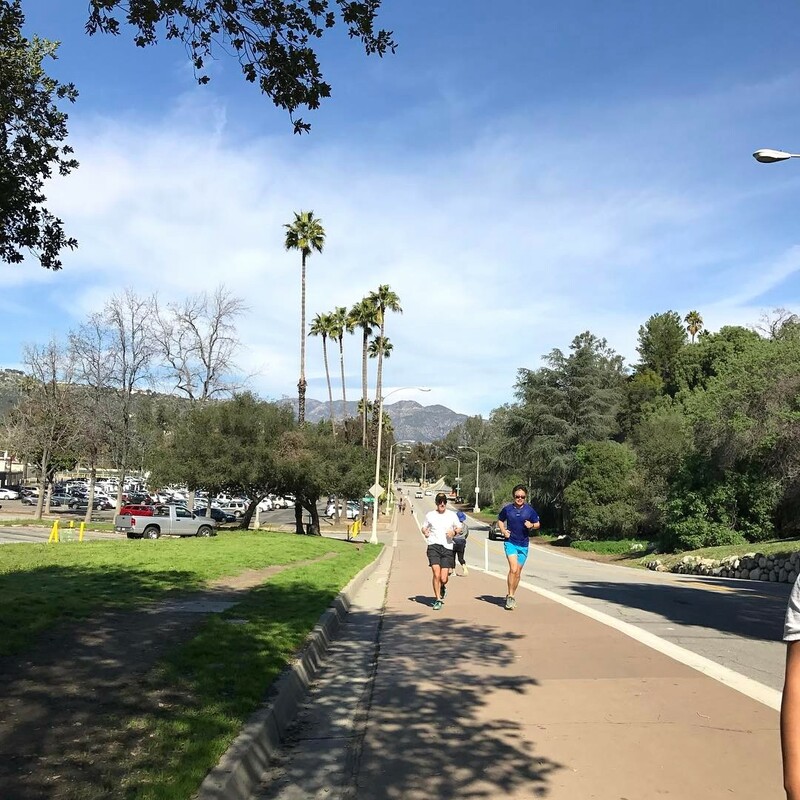 As part of the 22-mile network of trails in Arroyo Seco, the Rose Bowl Loop is a poppin’ running destination in Pasadena. This 3.3-mile long loop not only offers runners spectacular views of the Central Arroyo, but it also provides a healthy mix of dirt and cement paths for use. Along the way, runners move alongside the famous Rose Bowl and the Brookside Golf Course. Flying golf balls will be the only potential danger as the paved asphalt roads are clearly marked for runners/cyclists — no need to stress over LA drivers! The Echo Park Lake Trail in (you guessed it) Echo Park serves as an urban track oasis to those wanting some speed work. Measuring a mile, the Echo Park Lake Trail may be crowded with happy dogs and their humans, but it’s wide enough to still kick up some dirt. Easily accessible and offering plenty of greenery and shade, what else could you ask for? Well, this path has you covered with more, in Olympic fashion. 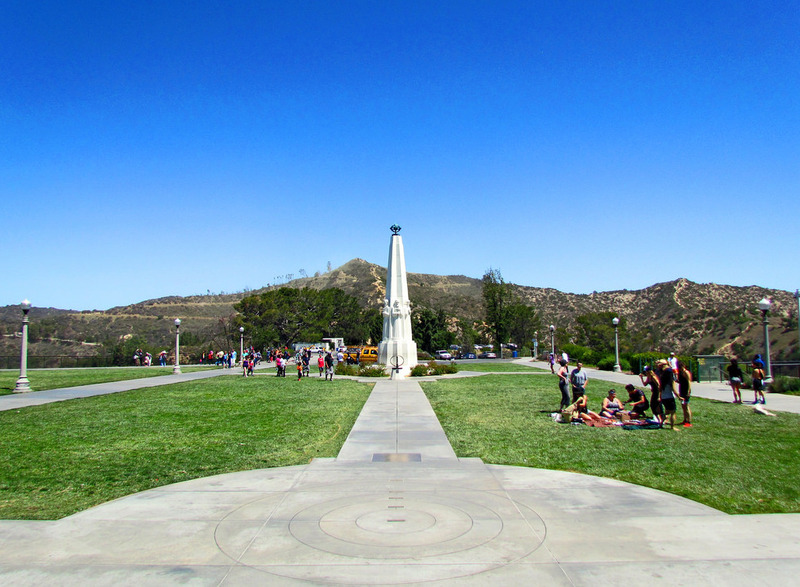 The water fountain spouting up three jets from the lake’s center was installed for the 1984 LA Olympics! 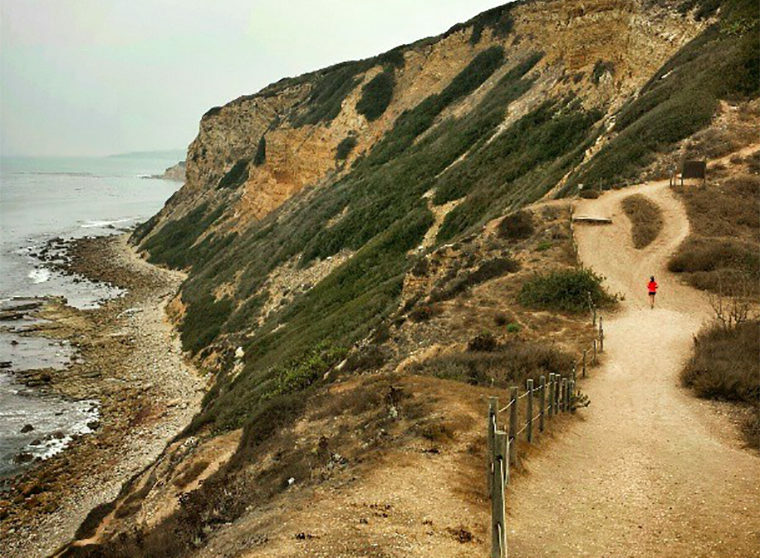 Well south of the city in Rancho Palos Verdes, runners will find five miles of publicly-accessible, scenic trails in Ocean Trails Reserve. Park at either Ocean Trails Dr. or La Rotonda Dr. before hitting a network of 11 dirt trails. From hills to flat terrain, Ocean Trails Reserve offers up plenty of greenery to match the stunning blue views of the Pacific Ocean. 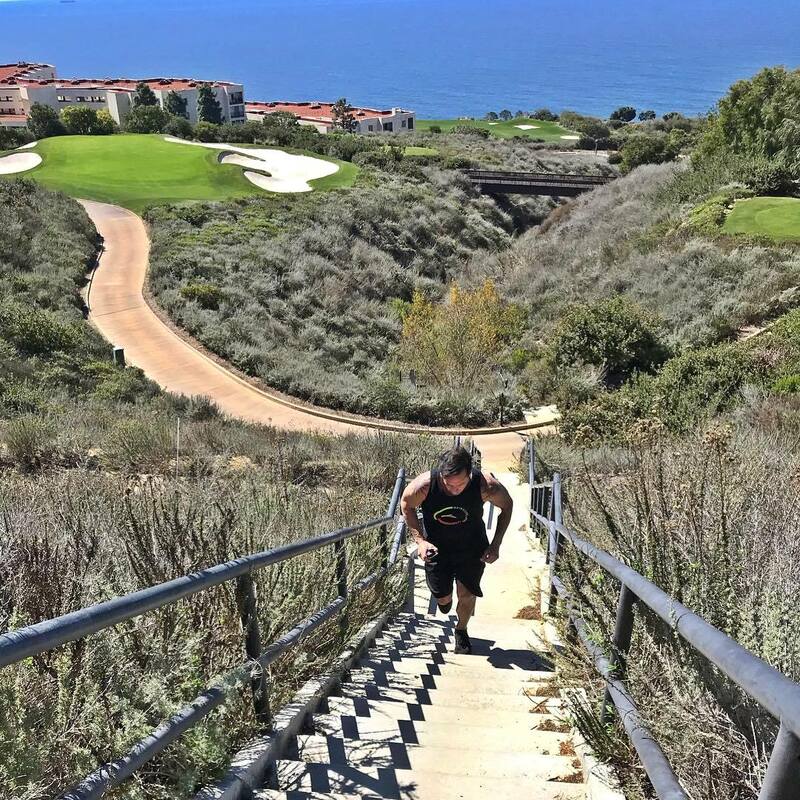 Fitt Tip: link Catalina, Sagebrush Walk (quick pit-stop at the sand via Southshore Coastal! ), Shoreline Park, and Gnatcatcher back to Catalina for a short and scenic loop trail! Coming in at a cool 600 acres, Elysian Park in Central LA (the city’s second biggest park) offers much of what other LA locales do but on a smaller scale. 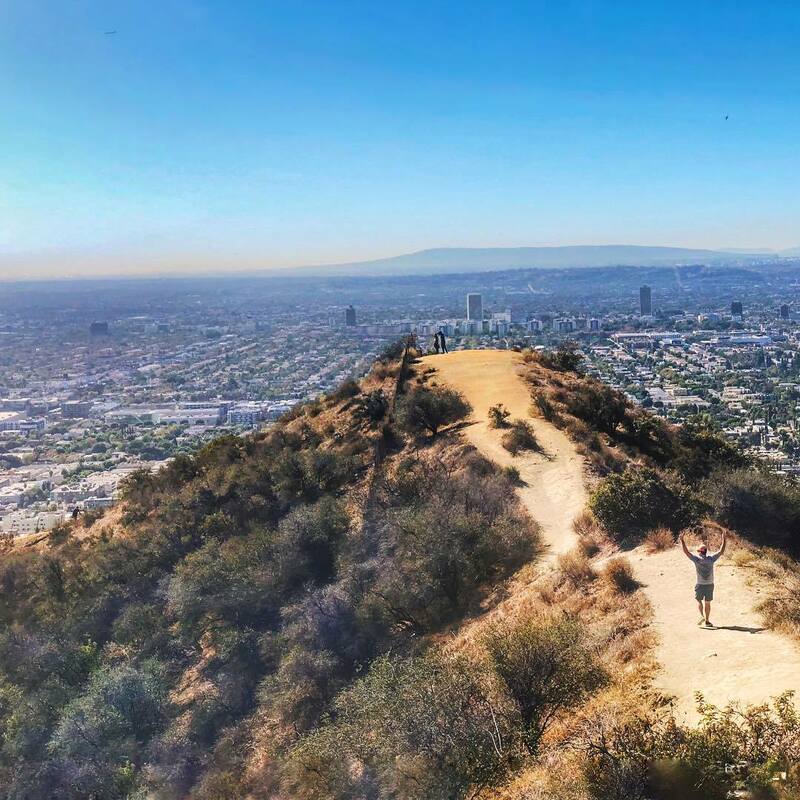 Park at the corner of West Elysian Dr. to access West Loop, a 2.4-mile local’s favorite, dog-friendly dirt trail for a decent ascent that rewards the curious runner with scenic views of DTLA and the Valley. It’s a short and sweet gem that’s hidden from LA, much in the same way Elysian Park is from the masses of the city! The Strand winds with the coast along the Pacific Ocean starting at Torrance County Beach and shoots all the way up to Will Rogers State Beach. 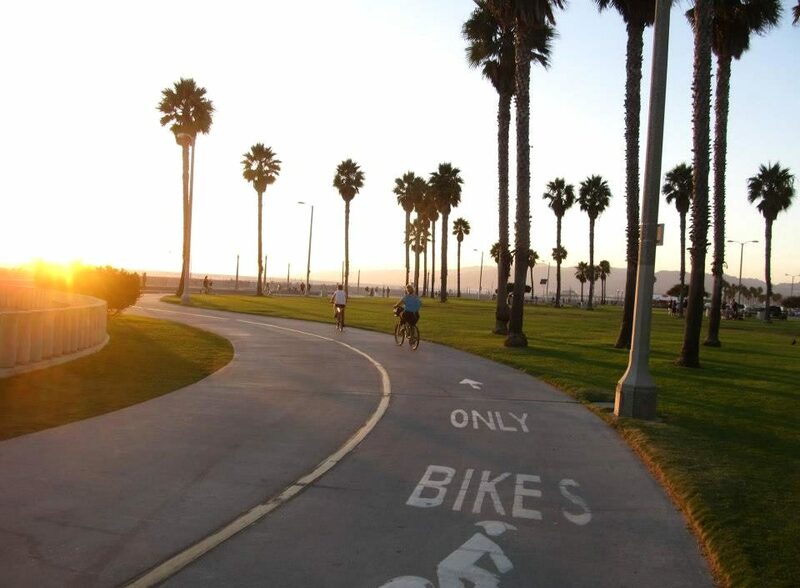 Over 22 miles, you’ll get ocean breeze at your back, sea salt in the air, and a montage of people-watching as you hoof this flat, winding cement path to breathe in LA’s beach communities. 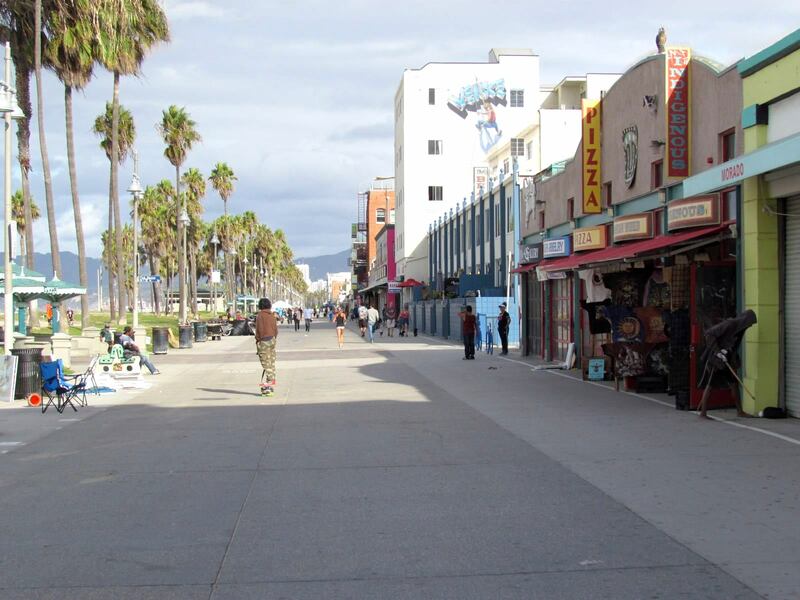 From exploring the Santa Monica Pier to perusing shops on the Venice Beach Boardwalk, The Strand connects runners with several of Los Angeles’s coastal landmarks. Want to work in a quick trail run, but the mountains are too far away? Well, Runyon Canyon Trail has you covered! Letting runners tackle a 2.5-mile loop within Runyon Canyon Park, this running spot is the perfect escape from the hustle and bustle of the city, but not at a killer distance. Dirt trails line rolling hills giving runners (and swarms of friendly dog walkers and hikers) opportunities to elevate their running game. And panoramic views of DTLA and the Hollywood Sign await those who make it to the top. 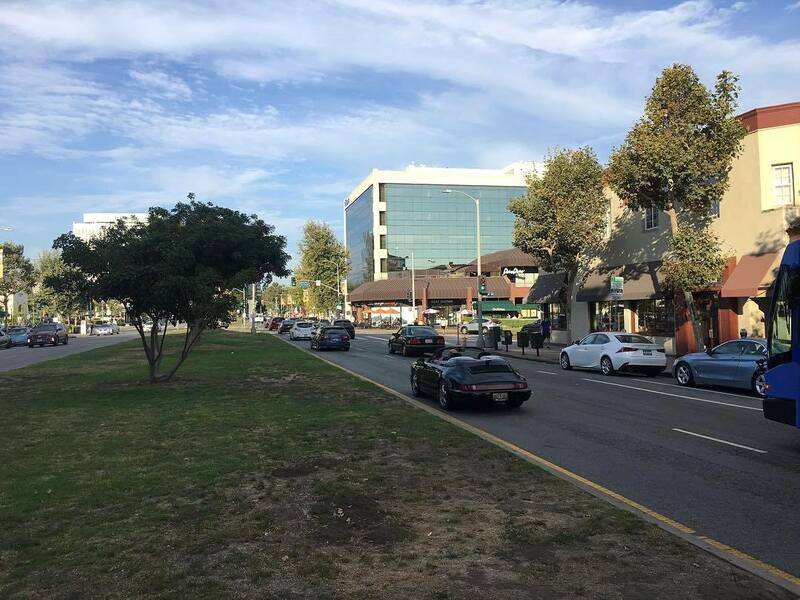 One of the oldest streets in the City of Angels, San Vicente Boulevard gives runners good running lanes and drivers good driving lanes. With a wide and grassy median full of shade-giving trees dividing the boulevard into two, this spot lets runners do their thing in a safe and cool space away from notoriously quick (and bad) LA drivers. It’s also four of the five final miles in the Los Angeles Marathon, giving runners looking to one day conquer LA the chance to familiarize themselves with some of the course’s beauty. Home to the Bruins on UCLA’s campus, Drake Stadium grants runners a modern track facility ideal for year-round use. Sporting the public university’s signature blue, Drake Stadium’s 400-meter, nine-lane track allows runners to set their own pace and easily stick with it. A grassy field tucked within the track is great for stretching and cooling down, while the stadium’s stairs offer a wide range of possibilities for potential running workouts. Fitt Tip: Drake Stadium is often used by UCLA’s soccer, football, and track & field teams; check for hours of operation open to the public here. Spanning a mile and a half down Malibu’s public shoreline, this flat path is a great spot for runners to crank up the tunes while watching impressive waves and soaking up the Malibu sun. Stop by early in the morning or late in the evening for some unforgettable sunrise and sunset views. And if you want to make your run a little longer, you can continue east to Westward Beach or west up Broad Beach Rd.